Lately I’ve been sharing lots and lots of songs and private practice tips (which I love to do!) Today, I want to share with you some happy news. 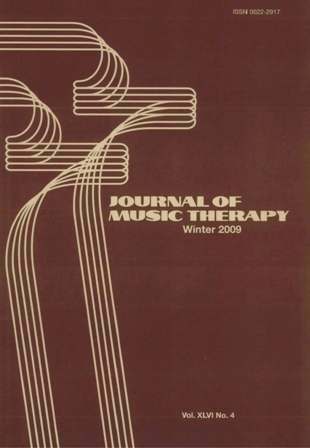 🙂 Earlier this week, I found out that my master’s thesis was accepted for publication by the Journal of Music Therapy!! I could not be more thrilled and honored by this news. – There was a YEAR of formulating my idea and gathering resources for my literature review. – There was a YEAR of going through IRB approval, recruitment of participants, and data collection. Lots and lots of data collection. – There were TWO YEARS of writing….and more writing….and more writing. Aaaaand more writing. My topic and my manuscript became….a part of me. As weird as that sounds, does anyone else know what I’m talking about here? My thesis is entitled: Joint Attention Responses of Children with Autism Spectrum Disorder to Simple Versus Complex Music. Essentially, I came up with six musical experiences and compared whether a simple or complex musical accompaniment was more effective in eliciting joint attention behaviors in children with Autism Spectrum Disorder. You’ll have to check out the winter edition of the JMT to find out my results! Congrats Amy! Excited to read the article when it comes out. That is such wonderful news, Amy! Writing a thesis is indeed a major event, and I’m so glad to hear you’ll be published in the JMT! Go, girl! Thank you Roia for your encouraging words!! I am so excited! What a wonderful accomplishment! Your study sounds great; I’m definitely looking forward to reading it!